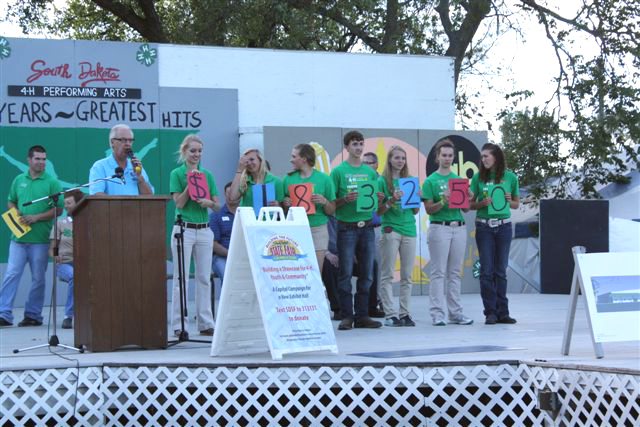 The South Dakota State Fair Foundation kicked off its first ever capital campaign, “Building a Showcase for 4-H, Youth, and Community” at this year's fair. The announcement was made during the South Dakota State Fair at the annual 4-H Leaders’ Association Barbecue on Sunday, Sept. 1 at the State Fairgrounds in Huron. 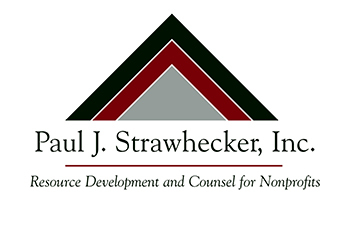 This capital campaign, formally organized earlier this summer with fundraising counsel by Paul J. Strawhecker, Inc., will raise $4 million over the next three years to replace the aging Clover Hall with a more versatile open-layout exhibit hall. Clover Hall has been utilized for 4-H exhibits and competitions since the 1950’s. The new, 46,910 square-foot exhibit hall will feature more than 35,000 square feet of exhibit space, multiple classrooms, a large kitchen for 4-H Special Foods competitions and year-round concessions, and a performance stage. Huron will enjoy an additional exhibit hall in the community for events in the off-season, which will also create added revenues for the State Fair. Jerome Hertel, State Fair Manager and Executive Director of the State Fair Foundation, and Loren Noess, Capital Campaign Chair and General Manager of Central Electric Cooperative of Mitchell addressed the barbecue attendees, stating the total funds raised to date is $1,183,250 - more than one-fourth of the goal in just a few short months. Secretary of Agriculture Lucas Lentsch provided comments on the long-standing tradition of the State Fair and its bright future, and Huron Mayor Paul Aylward discussed how the community of Huron and surrounding area will welcome and benefit from the new large facility. Finally, three 4-H children discussed the reasons they are looking forward to the new exhibit hall. 4-H is the largest youth development organization in the nation, with 9,000 members in South Dakota. The ever-evolving organization boasted more than 17,700 pre-entered exhibits and 10,500 display exhibits at the 2013 State Fair. State Fair attendance has been on the rise since 2006, with nearly 200,000 visitors in 2012. Those interested in supporting the capital campaign are invited to contact the State Fair office at 605-353-7340 or visit www.sdstatefairfoundation.com.